Entrance fee: R60 pre-sale at school, R80- at gate until 20h00. Children up to 12 years are free. No entry after 22:00. Children up to 12 years are free. No entry after 21:00.
mit viel Spaß und Gemütlichkeit! DEUTSCHE SCHULE PRETORIA – Simon Vermooten Rd, The Willows. Parents started in 1977 to organise a fundraiser – one of the fathers took up a bond in order to finance the event, as the school did not want to take such a risk. Today the school lays out more than a million Rand in order to put up this fest. It is its biggest fundraiser of the year and is possible only with the help of all parents, teachers and staff. PLUS two nights for 2 people on a full board basis at MASHOVEHLA LODGE in the Morning Sun Nature Reserve, including a guided activity. Look out for the Oktoberfest queen and her 2 princesses who will be chosen at the beginning of September. NB! Gates will be closed at 20h00 and the fest ends at 23h30! 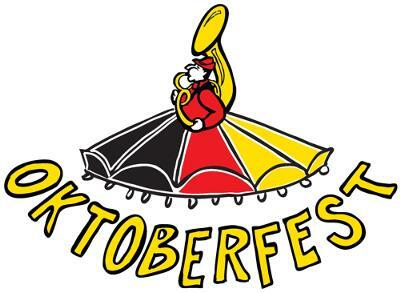 We are convinced, that this Oktoberfest will be great fun with lots of Gemütlichkeit! Join in and write your own page! It's easy to do. How? Simply click here to return to Pretoria Events.